Where do you usually shop for your beauty necessities? For me, I try to shop for them at places near home because I tend to stock up a few bottles of each product at one go. Thankfully, Guardian can be found almost anywhere! Here are some products that I got from Guardian which I am currently using on top of the usuals that you have already seen on my Instagram! If you watch my Instagram stories, you will notice that I mask very frequently. Almost once every 2 days. I literally buy masks everywhere and Guardian carries a lot of brands with one of my top favourite being Dr. Morita! Aprilskin is exclusively available in Guardian Singapore stores only. 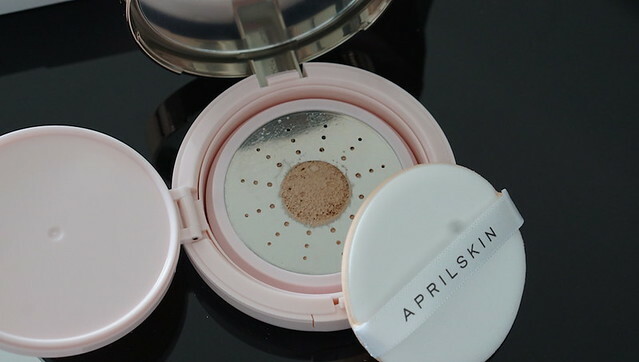 I have previously tried 3-4 of their cushions and my favourite is none other than their Aprilskin Perfect Magic Cover Fit Cushion because of the dewy finish. They are currently available in a limited edition pastel pink packaging (usual packaging: Black)! For just $49.90, you can get Aprilskin Perfect Magic Cover Fit Cushion, Perfect Water Fit Make-Up Refresh Pad and Perfect Magic Kill Fit Tint. Quickly get your hands on them before they go out of stock! 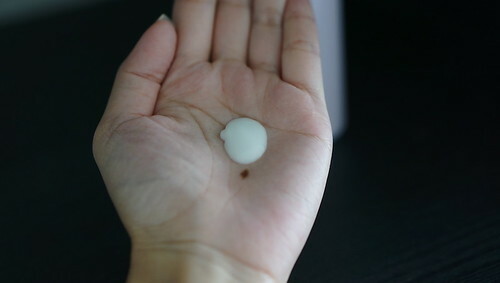 The cushion is also suitable for people with dry skin as it has a moisture serum base. 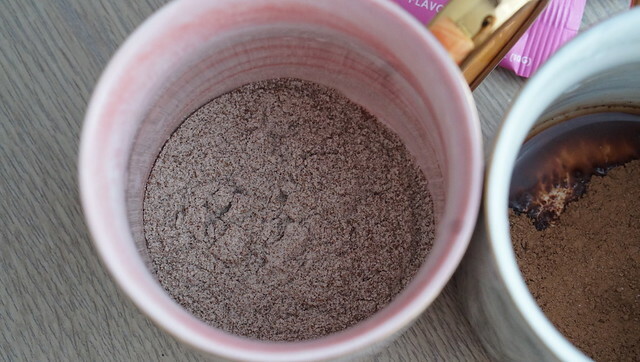 Skincare in a make up product. What’s not to love? Instead of the usual mesh, the foundation is sealed with a metal plate which makes it extra hygienic as the product will not come in contact with air directly. Base and lip colour as seen below…. are all from Aprilskin! This brand is also exclusively available in Guardian only. 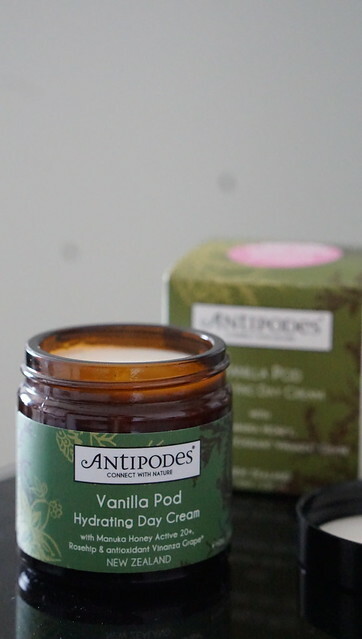 Antipodes is a New Zealand skincare brand that contains no nasties – safe for people with sensitive skin. The brand is also certified as organic and vegetarian. In fact, this is my very first bottle of Antipodes and I am pleasantly surprised by the results. My skin feels very nourished and hydrated ever since I starting using the Day Cream. They have other products as well so do visit Guardian if you are keen to give them a try. We have heard of Micellar Water but shampoo? It’s a first for me! Guardian sent me 2 bottles of them and I am now a fan. 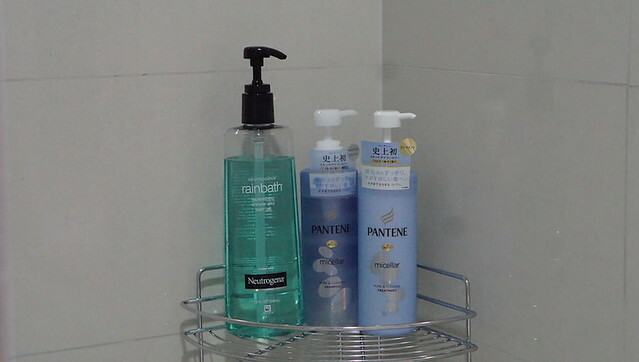 Just like the micellar water make up remover, the shampoo cleans the hair really well. It felt as though my hair was stripped off from greasy oil, hair sprays and dirts from the environment. Coupled with the treatment, it leaves my dry hair moisturised and slightly less frizzy. After every hair wash, I always end the day/night with hair oil or hair treatment. On most nights, I use their in-house brand Botaneco Garden Organic Chair Seed Oil & Honey on my hair. And because I love having extra volume on my hair, I will sometimes couple it with Schwarzkopf got2b Volumaniac bodifying mousse for that extra boost! Schwarzkopf hair products smell so good on my hair that I can leave the house without perfume. They have the Seborin series which can help with hair loss problems too. Of course, there are too many products for me to list because I shop at Guardian a lot but I hope that you will find my little reviews useful! Guardian Singapore always have new launches that I look forward to. Visit their Facebook and Instagram at @guardiansg to keep yourself updated or you can also shop at Guardian Online at guardian.com.sg! I was all along very concerned about the loss of volume at the cheeks and under eye areas because I always look tired and old despite having enough sleep. Even though I mask everyday, it doesn’t really help, as the masks can never recover the volume loss. Take a look at the picture below to see what I meant. 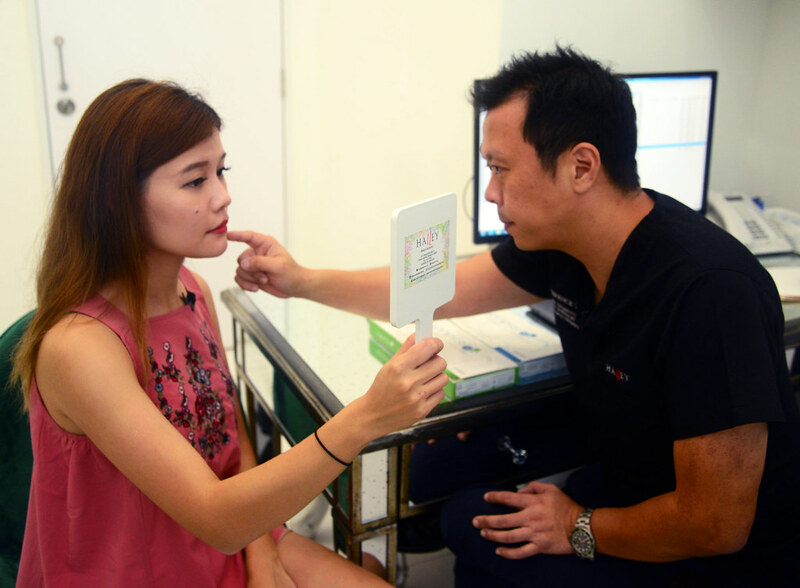 When I finally decided to do something about it, I went to Dr. Terence Tan from Halley Medical Aesthetics as I used to visit him regularly. 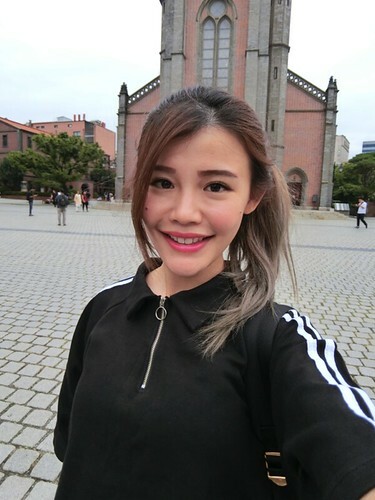 I was very surprised when he recommended me to do fillers for an area that I had not thought about, which is the area towards the back of my jaw and between my cheekbone and jawline. I thought I already have a square face to begin with and adding more volume to that area will make me look fat. I also told Dr. Terence Tan that I don’t want to look as though something was done to my face. 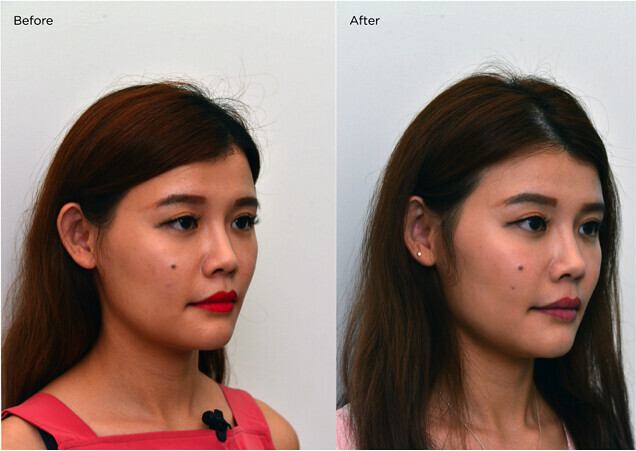 Dr. Terence Tan explained that I have a concave or crescent moon face shape, which would require a filler augmentation technique different from people with a convex face shape. He also highlighted that I have a prominent, high sloping jawline. That feature, combined with some superficial fat near my jawline, made the hollowness between my cheekbone and jawline even more obvious. And this issue, together with the loss of volume at my cheeks, was making me look tired. The nasolabial fold (line coming down from the side of my nose) and the marionette or smile lines (from the side of my mouth) are also making matters worse. In answer to my concern, Dr. Terence Tan assured me that he won’t be adding a lot of filler to the side of my face but “just a tiny bit to smoothen out the hollow”. 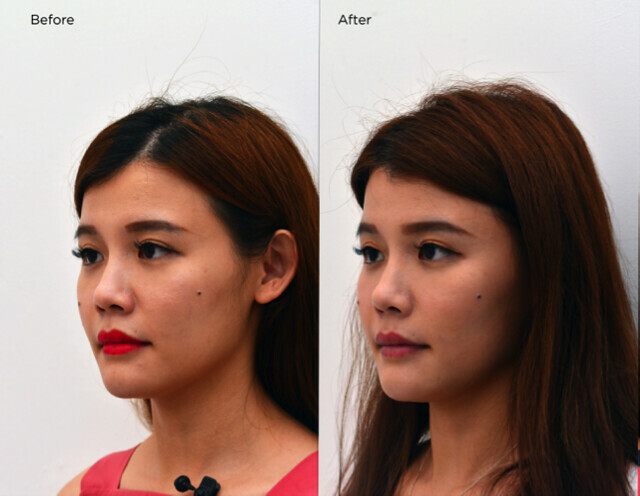 He also explained that the filler in that area will help to lower the angle of jaw, making it less harsh and angled but feminine and gentle sloping. After his professional advice, I went ahead with his recommendations. He recommended doing dermal fillers on four different areas – my cheeks, marionette lines, nasolabial line, and the hollow cheek area between my cheekbone and jawline. He prescribed a combination of soft and firm fillers from Algeness. It is my first time hearing about the US brand and trying out Algeness fillers but Dr. Terence Tan told me that the fillers are natural and organic as it is made from purified agarose gel. 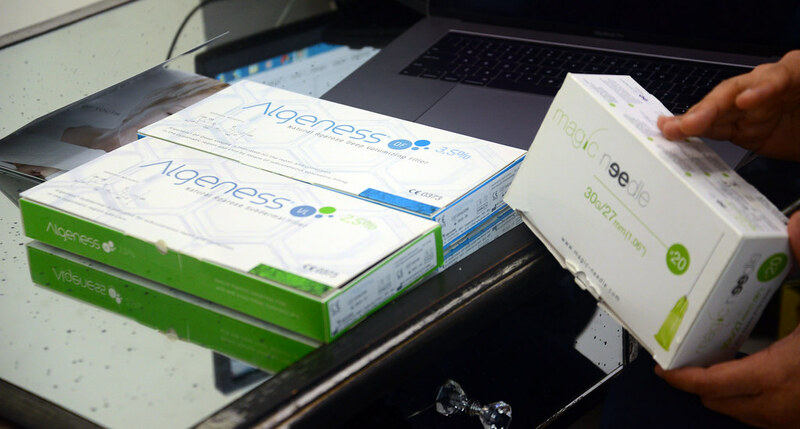 The plus point is that agarose gel is biodegradable and biocompatible with our human body and their website says that the fillers are 100% natural and safe. Dr. Terence Tan also told me that he chose the Algeness brand as it will address my other concern about fillers: that it will spread and make me look unnatural. He explained that Algeness is a cohesive filler, which reduces the chance of filler migration/spreading. As I have pretty low pain tolerance, he also recommended injecting the fillers with his “Magic Needle” technique to reduce discomfort and bruising. 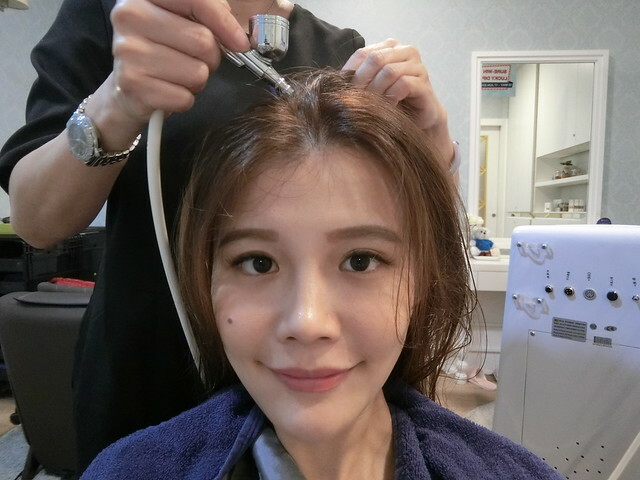 Prior to the treatment, Dr. Terence Tan mixed lidocaine, an anaesthesia, with the Algeness fillers so I did not really feel anything during the treatment. I think I scared myself too much because there was almost no discomfort and Dr. Terence Tan was very assuring throughout which made me feel really comfortable. I left the clinic within 50 minutes (including consultation, numbing and treatment). I can safely say that this can be a quick lunchtime procedure! There weren’t marks or bruises on my face so I could resume work after that. I really love the results because I don’t look tired anymore! The results are so natural and I think I just went back in time. Take a look at the before & after photos below for comparison. From the front, the depression on my mid cheeks are instantly lifted and the face does not look that bony anymore. And for the side profiles, I look like I have a better jawline and my chin no longer protrudes out anymore. Even the smile lines are visibly reduced! I drink Coffee or Milk Tea every morning before I start work and this has become a habit. If I don’t drink them before work, it feels like something is missing and I won’t be able to concentrate. 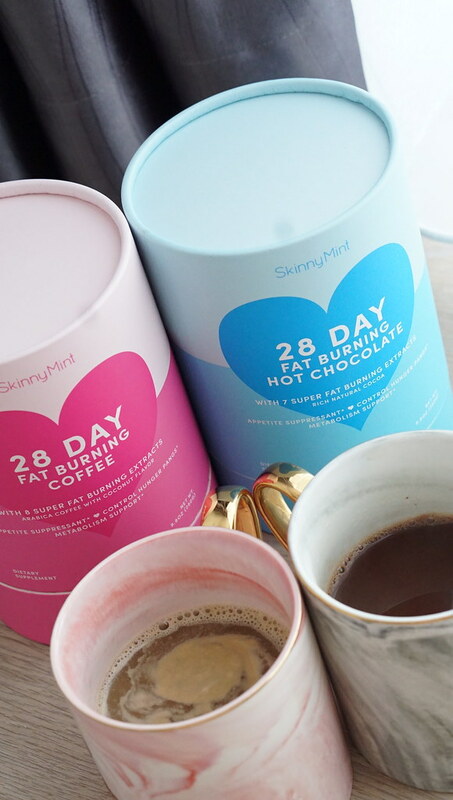 I would be skeptical about the results but since I have previously tried both SkinnyMint Morning and Night Teatox and both worked for me, why not give the new products a try too? Instead of drinking coffee with high sugar content, I am drinking both the Fat Burning Coffee and Hot Chocolate on a daily basis. Just imagine…. 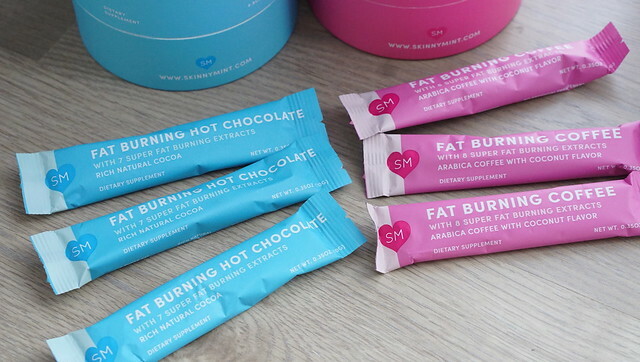 burn your fats away while enjoying a cup of hot coffee. Sounds too good to be true? What I am most happy about, other than the fat-burning portion is reducing my sugar intake! Although I do not really drink frizzy drinks, the coffee and tea I consumed on a daily basis is quite frightening. 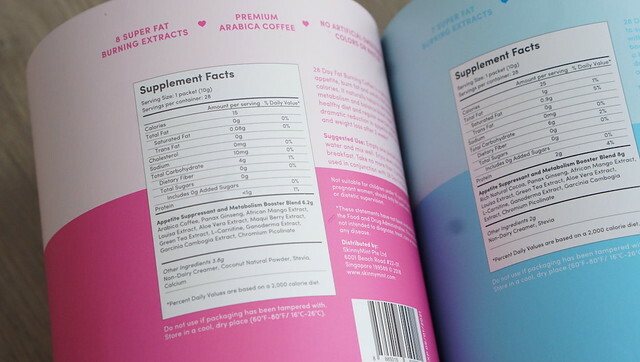 Take a look at the supplement facts below – 0 Fat, 0 Sugar! Both powders smell nice. The coffee has a coconut-y smell & taste as it is coconut flavored while the hot chocolate taste nothing less than a good cup of unsweetened chocolate. Good for people who wants that chocolatey taste in their mouth – without the calories! You can even put them into your bag and bring them out if you do not have the time to drink them in the morning as they come in sachets form. All you need is a cup of hot water and pooooof! The drinks can help suppress your appetite and boost your metabolism as they contain natural metabolism booster. Studies have also shown that 96% of the people who tried them had a significant decrease in appetite. As for me, I do find myself emptying my bowel more often – at a very regular timing too. Also, whenever you feel like snacking at work, just make yourself a cup of hot chocolate. It is only 25 Cal per serving! Say no to chocolates and opt for the hot chocolate instead. Join me and add these drinks to your breakfast today if you wanna lose some weight or control your appetite! Do drink them for 28 days to see better results! You can get them from skinnymint.com! We are all very familiar with masking at night. How about masking in the morning? I was first introduced to masking before I put on my make up by the make up artists who did my make up for me during shoots. They told me that masking right before the make up would help my make up stay longer, and face brighter. But I never knew about the existence of Morning Facial Sheet Mask until I found Saborino. are all very familiar with masking at night. How about masking in the morning? I was first curious about the mask because of the vibrant packaging – don’t they look fun? I also came across them during my trip to Japan last year. My initial thoughts about masking in the morning was “Will I have enough time?” or “Do I have to wake up earlier just to mask?” These concerns were addressed right after I googled more. Saborino Morning Mask is a 3-in-1 face mask from Japan that cleanse, moisturize and prime in 60 seconds. Yes, you heard me right, it works as a morning cleanser too! It isn’t too hard to wake up 60 seconds earlier just to get rid of your swollen face/eyes yea? You can even put the mask on while you get ready or concentrate on other tasks. It is like the breakfast for your skin. 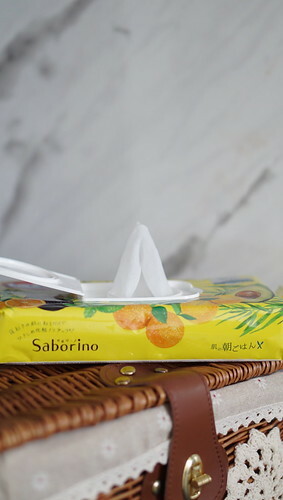 It comes in a wet-wipes packaging which makes it very convenient for you to bring around, for your staycations or travel. I love the fact that it comes in a plastic lid design instead of the foil sticky pads design, which doesn’t really stick well after a month. I have been trying out the morning mask recently and I do notice a small shrinkage in my pore size. Not only that, my make up sits nicely on my face and it stays for the entire day without caking. I guess it keeps my face hydrated too. Other benefits include the tightening and enhancing the elasticity of the skin but my favourite benefit has got to be the reduction of the puffiness of the eye and face in the morning! My eyes tend to get quite puffy when I don’t have enough sleep so this has been a great help so far. I also love the cooling sensation and minty grapefruit scent which sets my morning fresh and happy. 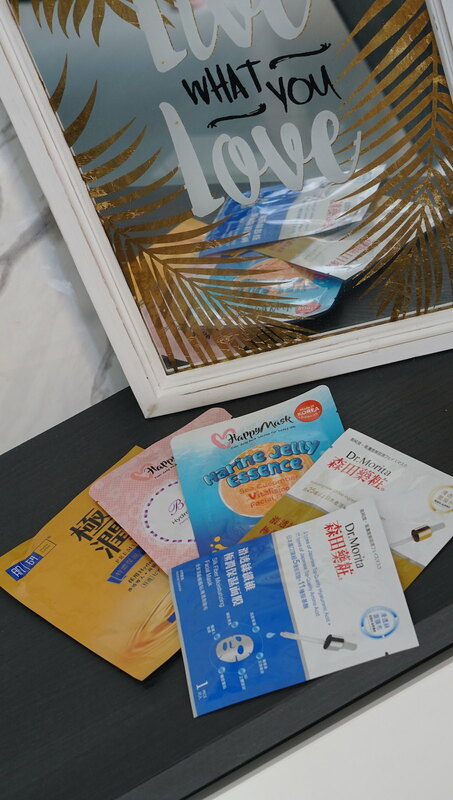 The mask is suitable for daily use and a packet contains 32 sheets, which can last you slightly more than a month. 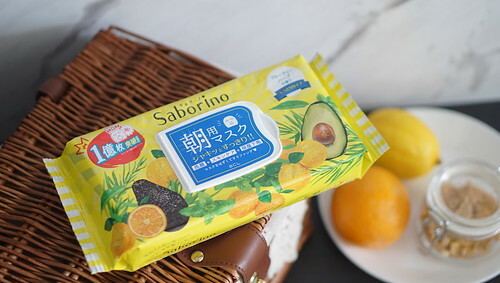 If you are keen to give Saborino Morning Facial Sheet Mask a try, it is available at Guardian, Don Don Donki, Tokyu Hands, Welcia-BHG, Meidi-ya and Sasa for $21.90. P/S: This is one mask that I will turn to again and again because it makes things very convenient for a lazy person like me! 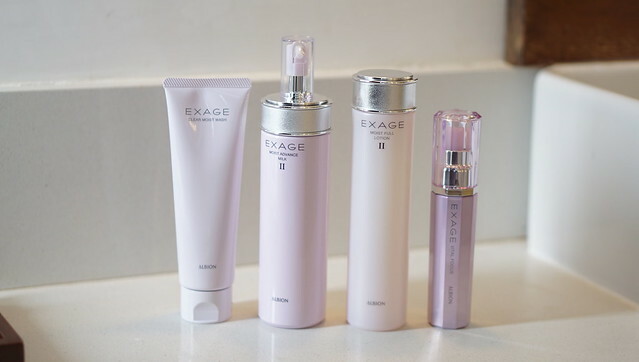 FLASH THIS BLOGPOST AT ALBION TAKASHIMAYA TO REDEEM A COMPLIMENTARY TRAVEL SIZED EXAGE MOIST ADVANCE MILK. ONLY VALID FOR THE FIRST 20 READERS OR WHILE STOCKS LAST! I have always been a fan of ALBION Skin Conditioner and recently, my knowledge of ALBION widened after attending the launch of ALBION Moist Advance Milk, which promotes their unique skincare method – Milk First. I never understood why it was necessary to apply milk before lotion but after using ALBION EXAGE range for more than a month now, and seeing the results, I finally understood why! “”Because your skin is delicate and prone to losing moisture and oils, it is vital to promptly fix your skin’s moisture balance “after using face wash” in order to properly care for the stratum corneum (the outermost layer of the skin).”Not sure if you girls apply your skincare right after using face wash, but for me, I always apply my skincare within 30 seconds after I wash my face as I feel that my face is the cleanest at that point of time. So I can safely say that, even though my rational isn’t right, I did obey Milk First – The Best Timing belief after all! “Instantly creates the perfect balance of moisture for your skin.”Your skin is often rough and dry after a facial wash as the moisture and oils are washed away from your face, and this includes both the good and bad oils. Therefore it is important to apply Milk Lotion on your skin first to restore the moisture needed. ALBION’s Milk lotion is the perfect balance of water-base moisture, natural moisturizing factor and oil-base moisture. I have been using the ALBION EXAGE range for close to a month now and I really LOVE the after effect! My skin glows after every use. Yes you heard me right – after every single use. I am currently using the full range – Clear Moist Wash, Moist Advance Milk II, Moist Full Lotion II and Vital Focus. First things first, the Clear Moist Wash has a very creamy texture that I love. My skin feels bouncier right after every wash. I have very dry skin so it is very rare for my skin to feel bouncier after a wash. Sometimes, my skin feels tight with certain face wash and that is when I know that the product isn’t suitable for me. For their Step 2 and 3, it is highly recommended to use their facial cotton for their milk and lotion as it helps to enhance the absorption. One pack of ALBION cotton contains 120 pieces of cotton and costs only $7! 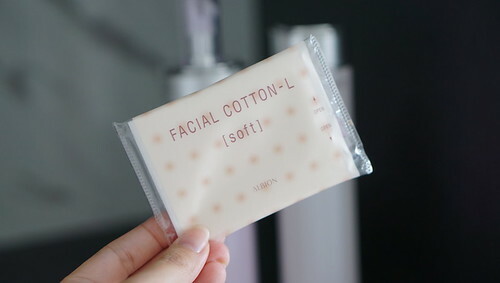 And rest assured this is high-quality cotton is specially created to ensure that your face doesn’t get scratched when massaging your Milk Lotion into your skin. I love the pleasant scent of both the Milk and the Lotion. They have a very soothing scent which starts and ends my day right. The milk lotion has a creamy texture and 3 pumps are all you need for your entire face. The Lotion on the other hand, has a milky watery texture. Massage the milk into your skin and pat the lotion onto your face with the cotton pad gently. Doing it the correct way can help shrink the size of your pores if you have enlarged pores like mine. Watch the videos below so that you can apply the Milk & Lotion correctly. Do note that applying the products the right way can bring out the maximum efficacy of the products. I always end my regime with Vital Focus, which seals in all the goodness into my skin. As compared to the days where I have yet to embark on Albion Milk First journey, my face is now a lot smoother. Some friends even commented that I haved the marriage glow. The truth is…. I changed my entire skincare regime! When the people around you notice the improvements more than you, it shows that the products are working well for you. 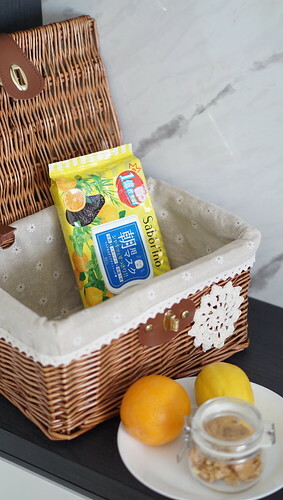 If you are keen to give them a try, ALBION can be found at Takashimaya Department Store, Metro Centrepoint and Robinsons Raffles City. I have to admit that I do not always have acne but I do get them from time to time. And this time round, I had some growing around my chin area. I have tried different products to help me with the acnes but they always take a few days to totally go away. 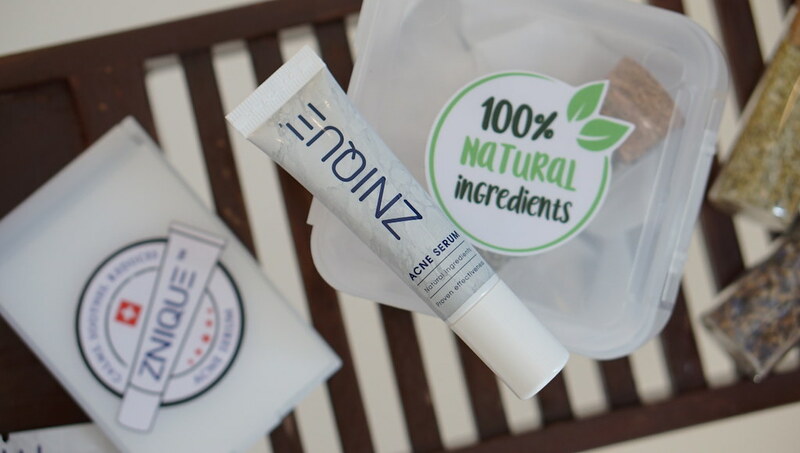 Recently, I was introduced to ZNIQUE Acne Serum, the first all-in-one acne serum from Swiss Expertise that is formulated with natural ingredients. You don’t have to wait for a few days to see results as the serum is clinically proven to reduce bacteria growth from as early as 2 hours! ZNIQUE Acne Serum contains no nasties like Benzoyl Peroxide, Glycolic Acids, Sallcylic Acid or Parabens. People with sensitive skin can give this a try! Their star and patented ingredient is AQPRUFINE which is anti-microbial, protects the skin and has anti-oxidant properties. Acne products can sometimes be very heavy and I really don’t thank them for that. I prefer my skincare to be as lightweight as possible. Like how it looks (light enough for you to carry around and especially good for travels), the texture of the serum is very light too. If you want to head out with make up, no worries, the serum still work when you apply it over your make up too. I always leave the serum to dry before I have my make up on in the morning because I don’t want to layer it over my make up. This works well too because my mild acne issues under the chin lighten within 1 night and disappeared within 2 days! If you have red or inflamed spots, you can apply a thin layer of acne serum over it too. The serum contains chamomile and lavender extracts which can have calming, soothing and anti-inflammatory properties. I am sooooo satisfied with the product! So much so that I will pack it into my travel bag just in case a naughty acne decides to pop up during my holiday. 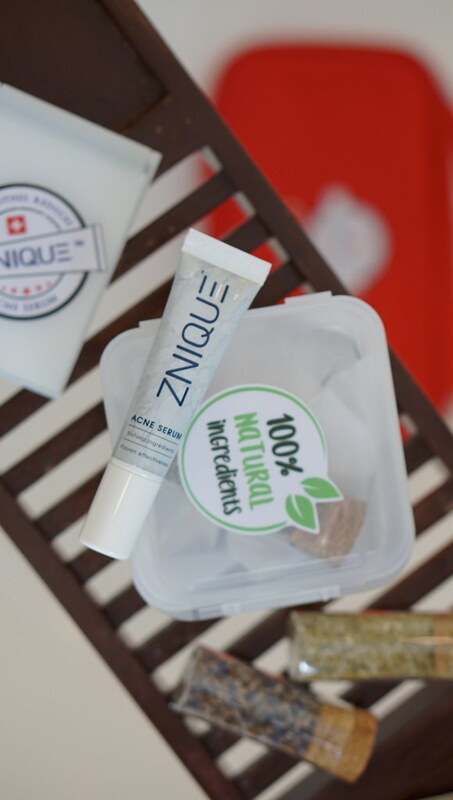 ZNIQUE Acne Serum can be found on their website https://www.zniquesg.com/products/znique-acne-serum at $26 per tube. Prevention is always better than cure. 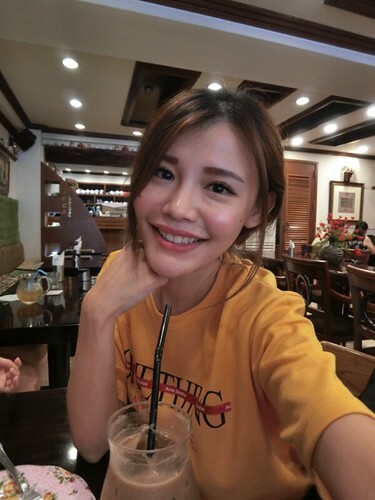 This is why I choose to start my anti-aging skincare regime while I’m in my twenties! While other consumers my age are exploring options like fillers and botox injections, I’m constantly on the lookout for skincare products that work just as well in giving me smooth and radiant skin. As I age, I find my skin getting thirstier despite applying skincare every day and night. I even tried masking frequently to see if it helps with the dehydration and dull complexion. While I do see improvements in my complexion, I have no idea which are the products that actually work well for me. 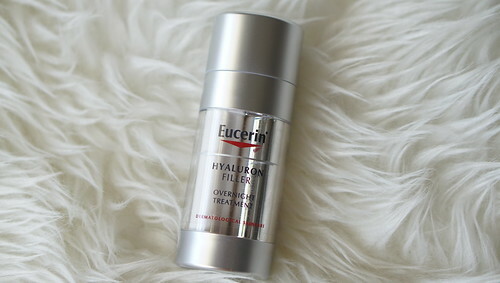 Recently, I was introduced to Eucerin®’s new product, Hyaluron-Filler Overnight Treatment. This product is a non-invasive overnight treatment that is inspired by well-known dermatological treatments. It helps to fill your wrinkles without injections & give you a radiant look. I have been using it every night ever since I got my hands on them. Along with the new addition are some products in the same Hyaluron-Filler range, which have already been launched. I thought that the packaging for the Overnight Treatment was very interesting, as there are two different emulsions that are packed separately in the bottle itself. I guessed these 2 separate formulas could mean that the product served 2 different functions? I did some quick research on my own, and I was right! The Overnight Treatment is a dual efficacy anti-aging skin care product, gently exfoliating and removing dead skin cells for a radiant look while hydrating and plumping up the skin. The formulas are optimally preserved in different chambers to keep them fresh and effective. The product contains two ingredients, AHA and Hyaluronic acid, which are popular ingredients inspired by dermatological treatments that are known to be effective for cell renewal and wrinkle filling. On the left (white): A creamy emulsion of AHA Complex & Saponin that exfoliates dead skin cells and stimulates skin cell renewal to bring back your face’s natural radiance. 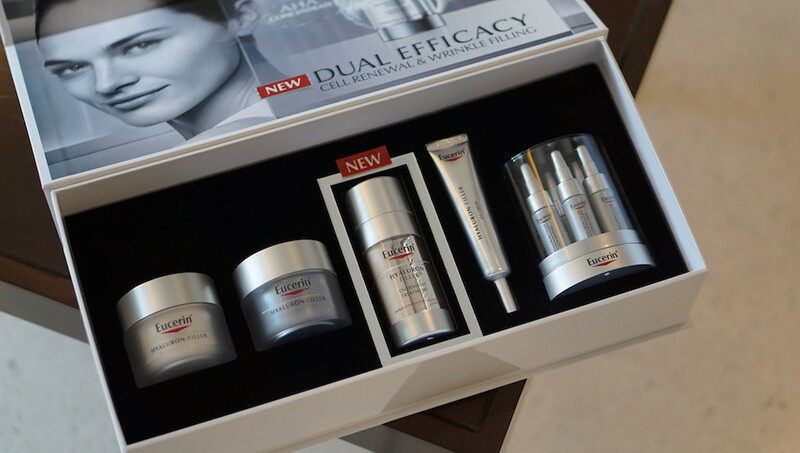 On the right (silver): A gel serum of Long and Short Chain Hyaluronic Acid to keep skin moisturized and hydrated. I looked it up and the Short Chain Hyaluronic Acid is actually 40x smaller which allows deeper penetration into the skin to plump up the deepest wrinkles. You can see two different formulas when you pump the product out. I was expecting the texture to be a little on the heavy side since it is an anti-aging product but it was all good. It felt lightweight on the skin, and there was no greasy feel after you apply it onto your face – creating a perfect base to layer on my night moisturisers. For better absorption, I chose to massage it onto my face for at least 30 seconds for better penetration. What I like most about the Overnight Treatment is that the Hyaluronic Acid in the serum not only moisturizes your skin but it also helps to plump up your deepest wrinkles while you sleep! I am more concerned about my smile lines so I tend to rub a little longer at those areas. Do note that since this product contains AHA ingredients, it should only be used at night to avoid pigmentation issue. 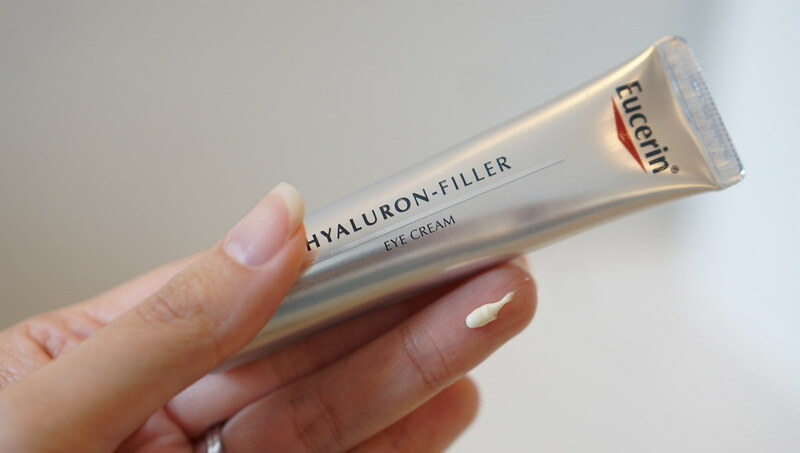 In addition to the Overnight Treatment, I’ve also been trying out the other products in the Hyaluron-Filler range. I have previously finished 6 tubes of Hyaluron-Filler Concentrate and they worked really well for me. The intensive serum not only helps to visibly reduce wrinkles, but also results in my face feeling a lot smoother as well. 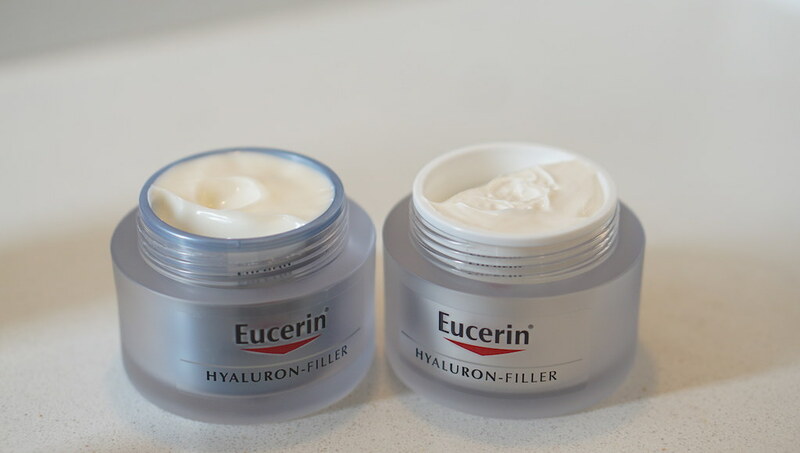 What I have recently started on are the Eucerin® Hyaluron-Filler Eye Treatment and Day and Night Cream. I wouldn’t say that I have wrinkles around the eye area now but I am applying them with hopes that they don’t appear soon. The Eye Treatment can be used in the day after your day moisturizer, and it is fortified with SPF15 and UVA protection too. 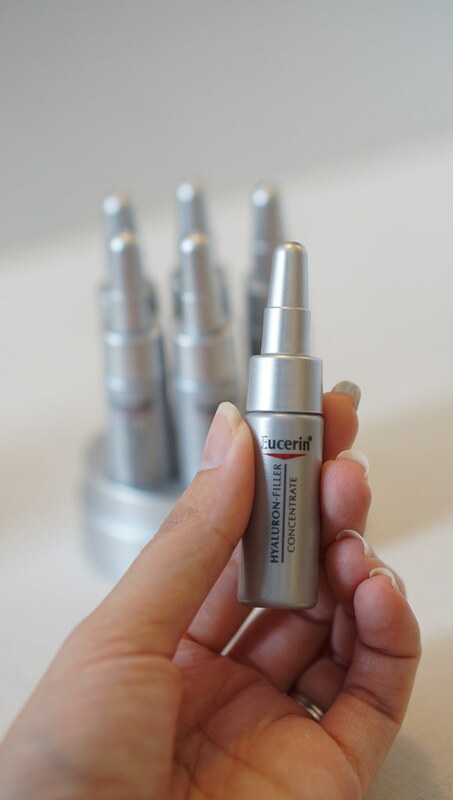 Having found out that Eucerin is a dermatological brand that has been around in the market for more than 130 years, I’m sure to put my trust in this brand. I have started incorporating several of its products into my night time skincare regime, and after using them over the past few weeks, I can definitely see the results so far. As mentioned, I’m very concerned about my smile lines but with the daily usage of the Overnight Treatment coupled with the other products in the range, my smile lines were visibly reduced. My foundation does not cake around the line areas and I can laugh to my heart’s content without worrying about the smile lines anymore. It is indeed a non-invasive alternative that can achieve the same results of combatting lines and wrinkles, while keeping my skin radiant and moisturized. The new Eucerin® Hyaluron-Filler Overnight Treatment is available from November 2018 at selected Guardian, and Watsons stores. Time flies! It has been a month since I did my eyebrow embroidery (Deluxe Creative Brows) at LA VIDA™. The color did fade away after the first session and this was expected because the brow specialist told me that I will need another touch up session 1 month after the embroidery to make it last longer. I went back to the same brow specialist at LA VIDA™ as I love the design she drew for me during the first session. This was how my brows look like after 1 month. My brows still look thicker as compared to the pre-embroidery stage. Small incisions were made with a micro-blade to mimic the existing eyebrow hair strands. The strands really look so natural that no one could tell that I had my embroidery done after they fade off in a week. There was really minimal pain throughout the 30 minutes of micro-blading. If not for the movement of her hands, I think I can really take a quick power nap there. This was how the final product looks like. It sure is a little darker than the first session with them, to ensure that the brows would be on point and lasting. I really love the idea of semi-permanent make up as I can wake up later because I do not have to waste time drawing my brows anymore. I get to wake up at least 10 minutes later now. Hehe. Keeping my fingers crossed that the embroidery will last me more at least 18 to 24 months! So here comes the discount part (again). HAHA! I just had to copy the discount from my previous post here to remind you guys not to miss the offer! As part of an on-going effort to bring on point eyebrows to everyone (guys and girls), LA VIDA will be offering their highly raved Deluxe Creative Brows embroidery service at a promotional price of $398 (U.P$1369.60) plus a complimentary touch up session when you quote “Maybeline398”. For people who want to enjoy this promotion, you can text of call this number (87976271) to make an appointment in advance and use the discount code. “Maybeline398” is for everyone who are 23 years old and above, available at all of LA VIDA™ 6 outlets. It doesn’t matter where you stay because they have outlets across the North, South, East & West! LA VIDA also provides other semi-permanent make up services like the eyeliner and lips. I used to say that I wouldn’t leave home without drawing eyeliners but as I grow up, I find that having nicely shaped brows is more important than having just the eyeliner on the face. Yes, eyeliner helps to brighten and open up our eyes but imagine yourself with bright eyes and hollow or short brows? Sounds creepy right? Even before I revealed anything, my followers have been asking me where did I get my brows done and if I have any discount quote. Yes, the answer is, recently, I went to LA VIDA™ for my eyebrow embroidery done and the treatment is called LA VIDA™ Deluxe Creative Brows Embroidery Service. And of course, I do have a discount code to share. Read on to find out more. LA VIDA™ first opened its doors in 2014 and when I was there, I could see a constant flow of customers. It almost seems like “if you don’t have an appointment, you will probably have to come back again the next day” – that is how popular they are. This is exactly how I look like without my eyebrows drawn. Sadly, I don’t seem to have much hair on my brows. The brow specialist recommended me to do their Deluxe Creative Brows. The treatment is one of their highly rated semi-permanent makeup services where micro-blade is used to create small incisions along the brow line to mimic existing eyebrow hairs. 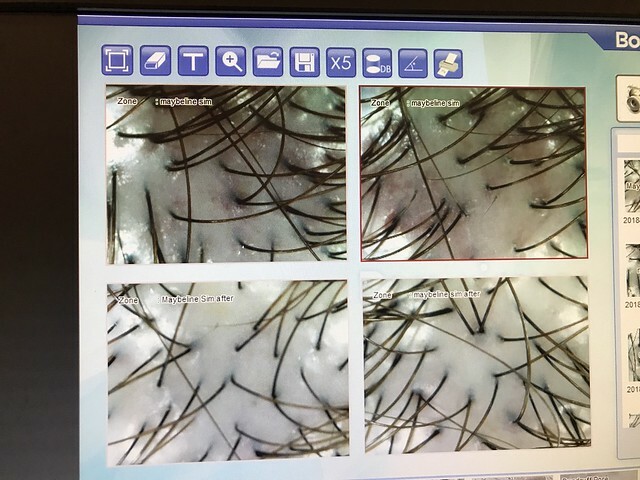 Individual brow strands are created using the sterile micro-blade and the unique strokes of the brow specialist, in accordance to the growth of the eyebrow, giving us a natural three-dimensional tone. As for the colour pigments, they only use industry-leading natural pigments. Before anything was done to my brows, a layer of numbing cream was applied to my brows for a good 30 minutes. For people who are generally scared of pain, you can request the brow specialist to leave the numbing cream on for a little longer before getting started. The longer you put, the lesser you feel. I only had it on for 30 minutes and had little to minimal discomfort throughout. The overall pain score was probably only 1 out of 10 as I could feel nothing most of the time. 30 minutes later, I was asked a few questions on the type of brows that I like. I personally preferred designs that don’t have too much arch so I went for a Korean design. You know how Korean brows look like right? They are mostly straight. Straight brows give off a softer and innocent kind of look in my opinion. I also specially told the brow specialist that I don’t want to look like La Bi Xiao Xin right after the embroidery because I can’t stand those thick and bushy brows. Thank god, she assured me that my brows would still look natural after that. The design process took the specialist less than 10 minutes in total. She gave me an eyebrow design that complemented my features and hair color. I think my nose kind of looks shaper after that too. After all, the design brought my brows closer so it gives off an illusion that the nose bridge looks higher. After I gave the green light on the design, she proceeded to do the embroidery. The embroidery process itself was also pretty quick. I think she took less than 30 minutes. So all in all, I only spent about an hour in the shop. I guess this can be a lunchtime quick fix for those who want on point brows. I must say that I am VERY VERY happy with the results so much so that I can’t wait to share the discount code with you guys. I also feel much more confident leaving my house without having too make up on nowadays. Not only that, I get to sleep in later on weekdays too because I spend lesser time on drawing the brows. It can be very frustrating when I don’t get the brows right when I am only half awake in the morning. I would also strongly recommend the service to people who suffers from thin brows as it can help to create a fuller look. The embroidery is said to last for at least 18 to 24 months after a single touch up. The touch up should be done 30 days after your initial treatment. As part of an on-going effort to bring on point eyebrows to everyone (guys and girls), LA VIDA will be offering their highly raved Deluxe Creative Brows embroidery service at a promotional priced of $398 (U.P$1369.60) plus a complimentary touch up session (worth $388) when you quote “Maybeline398”. Isn’t this cheap?! It is almost $1,000 off! It doesn’t matter where you leave because they have outlets across the North, South, East & West! 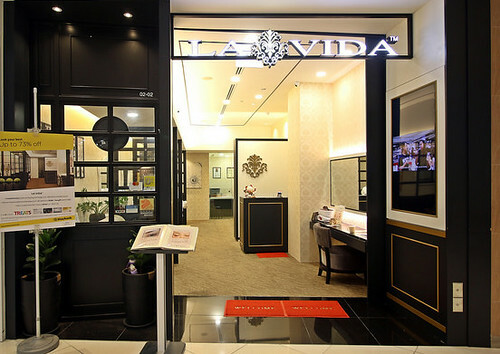 For more information about LA VIDA™, please visit the website at: www.lavida.com.sg. 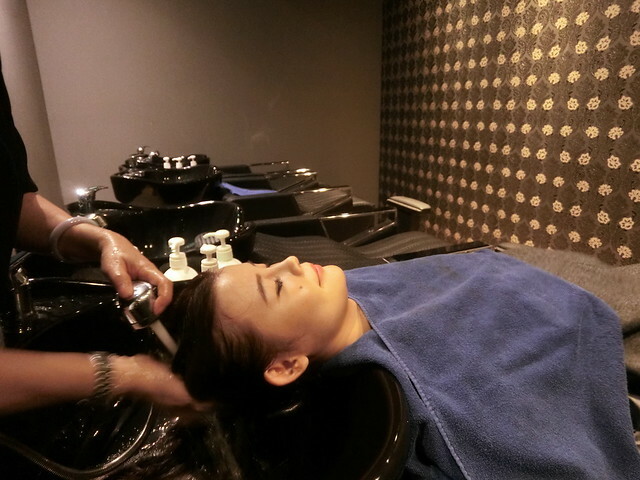 I started off the scalp treatment with a detailed consultation. It involves detailed history taking and really takes into account my dietary habits, sleep pattern and hormonal changes. After this my hair was analysed under a magnifying glass to check for any obvious thinning of hair. They also used a Tricho-scan camera which magnifies up to 200 times to analyse my scalp. It works as a visual proof of my scalp condition, according to which the treatment can be planned. Take a look at the 2 pictures at the top. True enough, my scalp showed redness and signs of inflammation. It is clearly shown and I got a shock when I saw how red the entire scalp was. My consultant told me that it could be due to stress, constant itching, too much sun exposure, too much colouring and hair dye. This can lead to hair loss and it doesn’t help when my hair is already fine to begin with. I was very happy with the way my consultant explained me about the treatment. 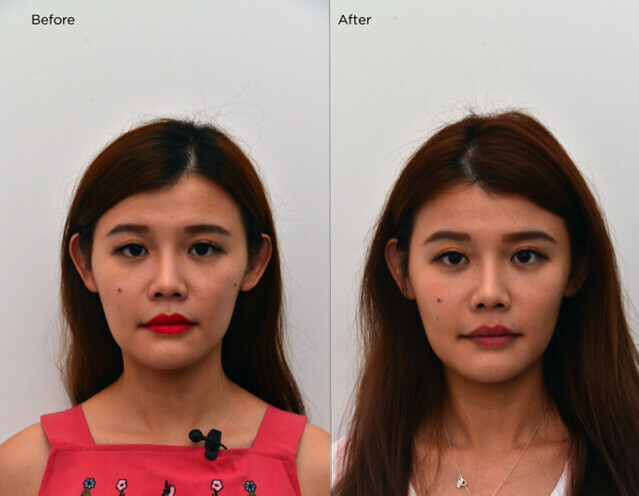 She went through every step in detail and customised a treatment Called *Tri-Oxy*. This Treatment contains naturally derived ingredients like Alpha Hydroxy Acid (AHA), Beta Hydroxy Acid (BHA) and sodium hyaluronate – these ingredients help in exfoliation, hydration and retention of moisture and nutrients. They use hyperbaric oxygen device to deliver these ingredients into the deeper layers of my scalp. I was then brought to the treatment area to get started. The lady who did the treatment for me was very friendly informative as well. 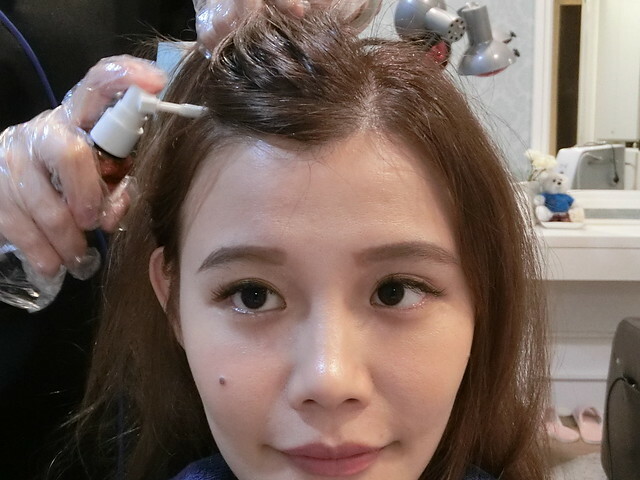 A customized premium European herbal scalp masque was administered onto my scalp, which can help to exfoliate the dead layer of the scalp and remove impurities and excess sebum. It is great for deep cleansing and detoxifying my scalp. *TriOxy* was then performed on my scalp before I wash the hair. It consist of 3 steps – OxyPeel, OxyJet and Oxynutrient. OxyPeel exfoliates dead skin from clogging pores, OxyJet helps to accelerate scalp’s cell metabolism and improves blood circulation while OxyNutrient provides nutrients and boost hydration to the scalp. After TriOxy was done, I was brought over to the shampoo area for a revitalizing hair bath which can help my scalp restore its sebum balance, keeping it feel refresh and stress-free. It was a much-needed session as it relaxes my senses throughout. For some reasons, my scalp also feels extra clean after the wash.
After the hair bath, I was brought back to the same room for another round of TriOxy treatment. I really love the TriOxy treatment as it gives off a cooling yet relaxing sensation to my scalp. I can literally feel the nutrients getting pumped into my scalp and the whole experience is super energizing. My sensitive scalp can be really dry at times so *Tri-Oxy* can give the scalp the hydration boost that is needed. 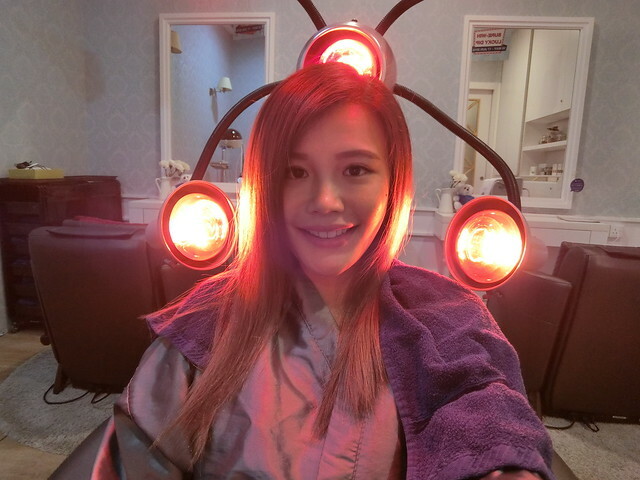 The last step of the treatment is the Photodynamic Therapy, which is said to promote hair growth and increase blood circulation as it supports hair regeneration, and helps accelerate healing. Now compare the before and after photos, which was taken right after the treatment. The redness is totally gone! My scalp also don’t feel as inflamed as before. All I need was a single treatment to calm the irritated scalp down. I believe that if I continue to do it every month, I will be able to see an improvement in the scalp condition and hair growth. I am truly convinced that the treatment works. See you at TK TrichoKare!